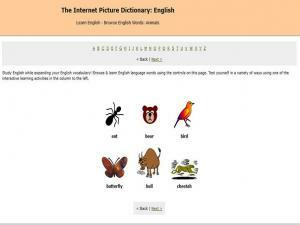 A really simple picture dictionary to help learn some basic English words. Words are grouped into sets, including jobs, food and nature. Choose any set and either go through them as a group, or individually, one at a time. Click on the image and see the correct spelling and listen to how you say it. Great for beginners! 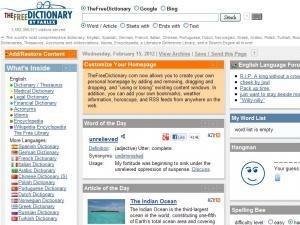 This is a free online dictionary and thesaurus. The best and most unique aspect of this website is that you can search the dictionary specifically for idioms or phrasal verbs as well as some other specific categories. This is a multi-language dictionary and thesaurus including pronunciation, antonyms, synonyms and parts of speech. Unluckily, not every word provides sound file. 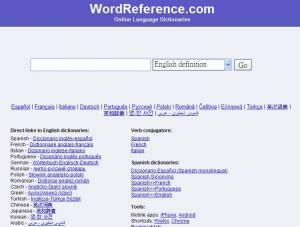 Free online dictionary with definitions written at three levels, synonyms, antonyms, audio pronunciations and semantic relations index. 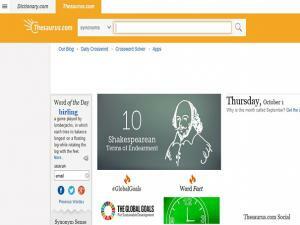 Create your own glossaries, crosswords and quizzes. 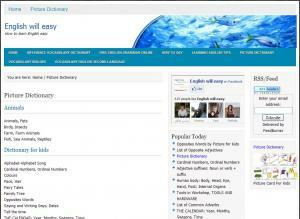 Provides picture dictionary on various categories. 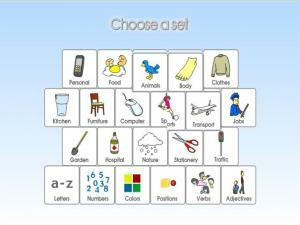 A Voice of American's interactive wordbook to hear English words and their definitions. Each word has a definition and example sentences so you can hear the word and its meaning. This dictionary has very easy-to-understand definitions and always includes an example. Trying to think of another word to express something but just can't find the right one? 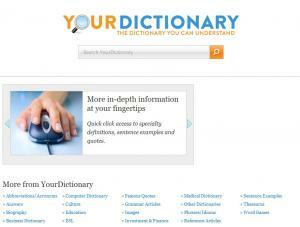 This is a great, easy to use, online Thesaurus to help you find synonyms and antonyms of any word you need! For an intermediate-to-advanced learner this web site will be useful as a dictionary or grammar tool. 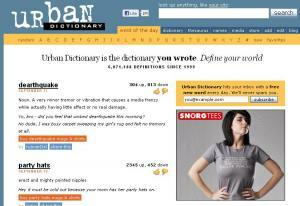 The "videos" section includes information about vocabulary and slang. 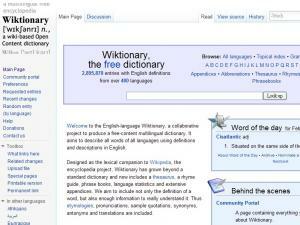 A companion to Wikipedia, this Wiktionary is more than a standard dictionary. It includes a thesaurus, a rhyme guide, phrase books, language statistics and extensive appendices. The entries are edited by the public, but quite accurate overall. One unique feature is the included etymology (or history) of each word. A dictionary and a thesaurus at the same time! 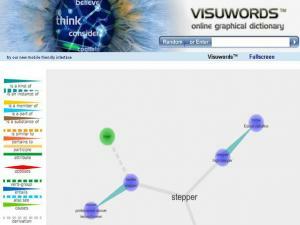 Enter words into the search box to look them up or double-click a node to expand the tree. Click and drag the background to pan around and use the mouse wheel to zoom. Hover over nodes to see the definition and click and drag individual nodes to move them around to help clarify connections. 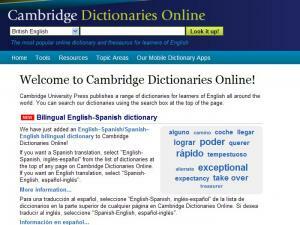 This free online collection includes several dictionaries (general, medical, literature, etc.) and many daily articles to keep you entertained while you learn. Includes weather, quotations, a daily match-up / hangman game and several news articles. For advanced learners, this is a great site to visit daily. 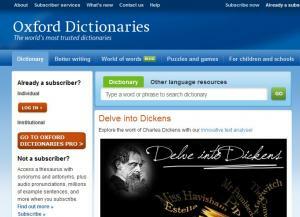 Search Collins online dictionaries in English for free. Nice sound quality and detail explanation. 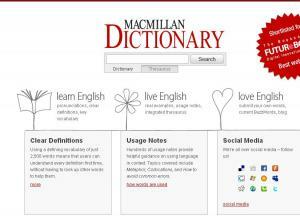 This free online English dictionary is from Macmillan Publishers. One great feature is the pronunciation; you can choose American or British style. 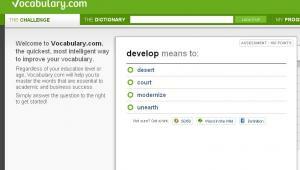 Free online English dictionary from Oxford, plus word of the day, resume examples, letter writing, English grammar, and spelling help. However, no sounds provided. 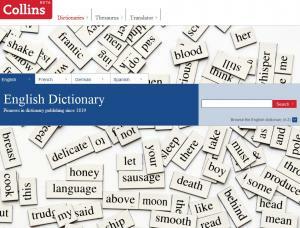 Free online resources like a dictionary, thesaurus, crosswords and translator. If you sign up with the web site you can access online flash cards. 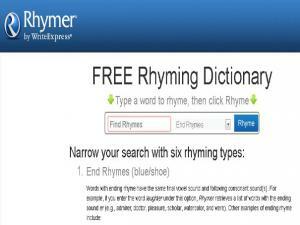 A great reference resource where you can type in a word and search for lots of different types of rhyming words. This dictionary gives you 6 rhyming types for each word search (end rhymes, last syllable rhymes, double rhymes, triple rhymes, beginning rhymes and first syllable rhymes). Discover the most widely used English health terms! 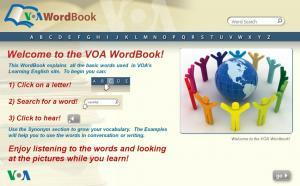 Open the VOA Health Wordbook to hear English words as they relate to health. You’ll hear definitions and related forms of each word. Also, you'll hear each word used in a dialogue with actual native English speakers to help you understand how the word is used in conversation. 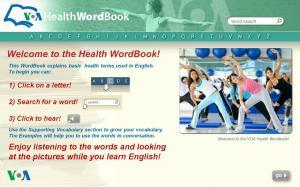 Click on the Health Word book and improve your English today. Vocabulary.com asks you a few questions and then designs a vocabulary study list for you. 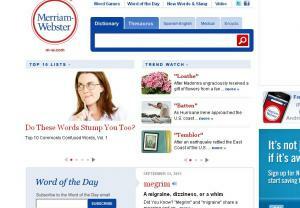 Visit everyday to learn new words so that you build a vocabulary of large, useful terms. 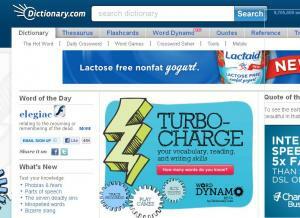 There are also links to articles so that you can practice your vocabulary while reading. 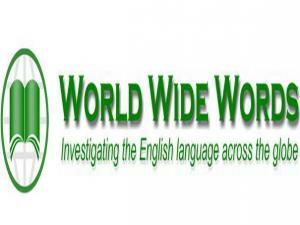 World Wide Words is a website for language lovers. 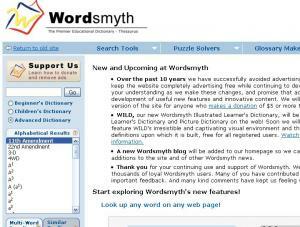 The site contains over 2000 entries on the origins of English words and phrases, including new words, words from the news, and words that have fallen out of use. Check out the Question and Answer section for responses to word inquiries from subscribers.